Step in the door, relax and enjoy! Jacques’ IP Communication System for residential living ensures residents are safe and secure through user friendly communication system and devices. Protect the home from intruders and security situations with Jacques IP video intercom system with integration CCTV, fire stair IP intercom solutions and assimilation with third party security devices. 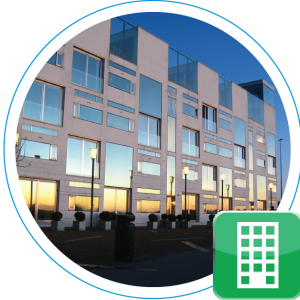 Jacques has tailored packages specific for apartments, housing estates and private residences to ensure maximum safety and security. Additionally, as each home is different, communications packages can be customised to meet specific individual requirements to further enable harmonious living. Jacques IP Communications System for apartment complexes possesses the ability to integrate with other building management systems, security management systems, CCTV and access control systems. This results in heightened security for residents, staff and visitors at all times, with the ability to monitor and respond to security situations. The stylish, touchscreen video monitor station allows users to answer intercom calls from entrance stations and activate entrance gate relays to allow visitor access, as well as view live footage from third party CCTV cameras. If a call to the video monitor station is unanswered, a snapshot of the caller is stored and notified on the monitor station as a missed call. Furthermore, reception is able to send text messages to individual video monitor stations to notify residents of complex maintenance issues or body corporate meeting reminders. Home owners can feel reassured, safe and connected with the added security of Jacques comprehensive IP video and audio intercom systems. Protecting family members, pets and personal belongings whilst living a hassle-free lifestyle, can be as simple as installing Jacques’ stylish and easy to use communications systems within the home. Residence can relax and have peace of mind with a touch screen IP video intercom system with the option of integration to smart home automation systems (C-BUS). The Jacques lifestyle automation system ensures complete yet simple control of your atmosphere, environment, entertainment options, voice communications and security monitoring. Receive text messages from building manager/concierge/control room to video monitor stations. Control C-Bus home automation from video monitor stations – lights, blinds, fans plus more. Third party IP CCTV camera streams can be selected & viewed on demand and in real time via the video monitor station. The duress call feature available on video monitor stations will deliver and urgent call to concierge if urgent attention is required. With the privacy feature enabled, residents can limit the number of incoming calls to their video monitor stations. Land within cities is expensive. Therefore community housing complexes are often multi-level apartment buildings featuring common spaces within a gated precinct. These complexes offer a range of accommodation to meet the housing needs of the community. A Jacques IP communication system for social housing complexes provides communication solutions required to maintain a safe and secure environment for residents, guests and facilities operators.